Mauricio “Shogun” Rua is an absolute icon in mixed martial arts. 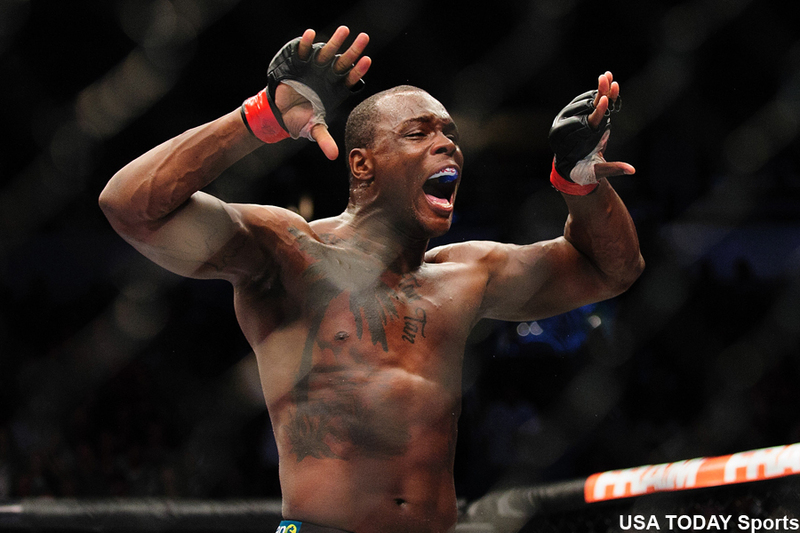 Ovince Saint Preux (pictured) made the 32-year-old look absolutely silly on Saturday at UFC Fight Night 56. It took OSP all of 34 seconds to destroy the Brazilian in front of his hometown faithful. Shogun has now lost four of his last five, including two straight inside the octagon. Saint Preux, meanwhile, rebounded from August’s lopsided defeat to Ryan Bader nicely and will likely shoot up the 205-pound rankings with this victory. UFC Fight Night 56 took place inside Ginasio Municipal Tancredo Neves in Uberlandia, Minas Gerais, Brazil.